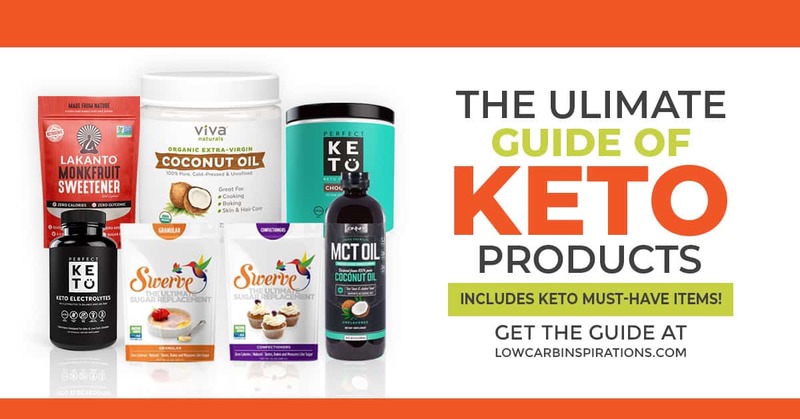 Have you been searching high and low for the right products on the keto diet? It’s safe to say that there are A LOT of products out there. 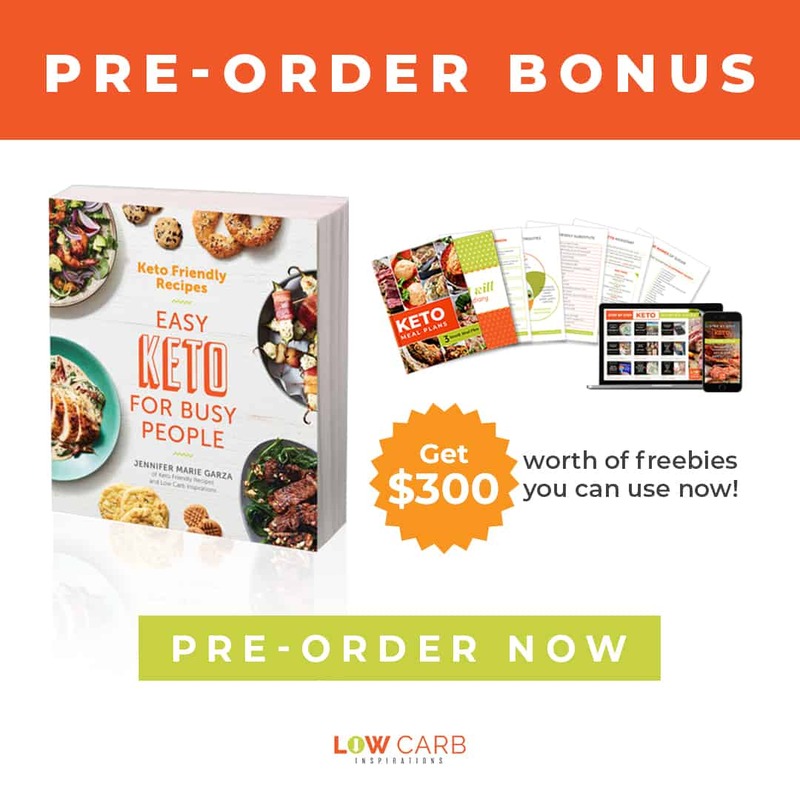 I wanted to share some of the best keto products that will help you the most on your journey to change your health and to change your life. It’s safe to say that regular sugar is just not going to cut it on the keto diet. Instead, many people use a sugar substitute. There are several different substitutes you can use, it’s just a matter of preference. A few that people use are Swerve, Stevia, and Monk Fruit. If there is one product that I can guarantee you’re going to use a lot of it’s Almond Flour. Instead of using regular flour, you’re going to use something like Almond Flour. Since this type of flour has fewer carbs, you’ll find yourself using a lot of it, so try and buy it in bulk. 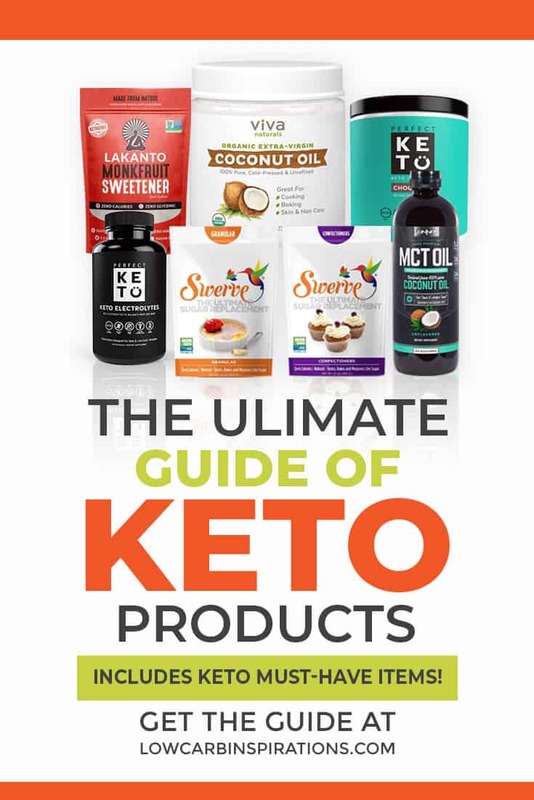 I’ve been using coconut oil for years, but it’s a GREAT product to use on the keto diet as well. I try to use organic virgin coconut oil as this is the best “type” of coconut oil out there. Give it a try, I think you’ll like it! Although it might seem as though coconut is pretty popular on this diet, it’s because there aren’t many carbs in anything coconut. 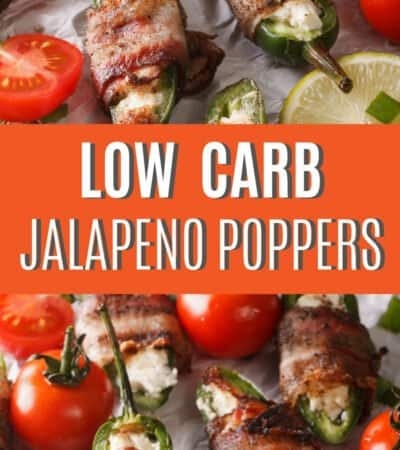 It makes the perfect product for the keto diet. You will see that coconut oil is perfect for baking. A lot of recipes on the keto diet include coconut flour. As you cook more with it, you’ll get used to the taste, more and more. Using as much organic as possible is great but it’s not necessary. I have just found that organic products have less junk inside of them, which helps me lose weight even faster. Organic cocoa powder is great because you’ll be using it for baking and cooking, a lot. Sometimes you want to thicken up something, whether it’s soup or keto pudding, Xantham Gum is the product that will help with that. When it comes to the keto diet, you’re going to want something crunchy on occasion. That’s where macadamia nuts come in! Not a lot of nuts are low in carbs, but macadamia nuts are perfect for someone looking for the best products on the keto diet. Valuable fats are super important and that’s where Pure MCT Oil comes in. You want to invest in a good MCT oil and not a junky brand. Most people add it to their coffee, but you can also add it veggies or on salads. Some people even take the MCT oil straight up. In the beginning, you will struggle with adding the right amount of healthy fats to your plan. Get some MCT Oil! Soon, you’ll realize that there are tons of keto coffee brands out there. Try a few out and keep with it. Keto coffee can really help keep you on the right track, in your keto journey. It’s nice to have a protein shake from time to time, while on the keto diet. This is why purchasing a keto protein powder is such a good idea. Since protein is an important part of your marcos, you just can’t go wrong with it. Something else I enjoy taking on a daily basis is bone broth. There are a few super awesome Keto Bone Broth brands out there. Collagen is one of the main reasons you will want to ingest bone broth on a regular basis. The Pink Himalayan Salt has 84 minerals in it that allows you to get a lot of the minerals you need to sustain a keto lifestyle over using traditional table salt. Pink salt (as I like to call it) re-mineralizes the body with minerals and trace elements that are essential to our health and well-being. OH! I almost forgot one very important supplement! This item should probably be listed as #1 if I was adding them in order of priority. These Keto Electrolytes are super important when you start your journey! You can avoid the Keto Flu if you take these. They are the perfect combination of magnesium, potassium, calcium, and sodium that you need. The keto diet is considered a flushing diet and you must take electrolytes. It's not optional! If you don't, you will get headaches, feel light-headed and maybe even nauseous. It's totally preventable. I've been on my journey for two years now and I still order these supplements to help me out. Especially, during the summer when I never seem to get enough water. These are by far the biggest lifesaver on your journey! These silicone baking mats are non-stick making them easy to clean and they truly help with keeping cookies, fat bombs, pizza crusts, and doughs from sticking to them. A large cast iron skillet is a staple in my house! When you fry or cook any type of beef in a cast iron skillet, it adds a level of flavor that I'm amazed by and I know you will be too! I've owned my cast iron skillet for years, but if you are new to cast iron cooking, check out these tips on seasoning and maintaining your cast iron skillet. A large measuring cup is a perfect addition to your keto kitchen toolbox. I use these large measuring cups to make recipes like my keto fathead dough recipe since it makes it easier to microwave the ingredients so they are ready to bake in the oven. 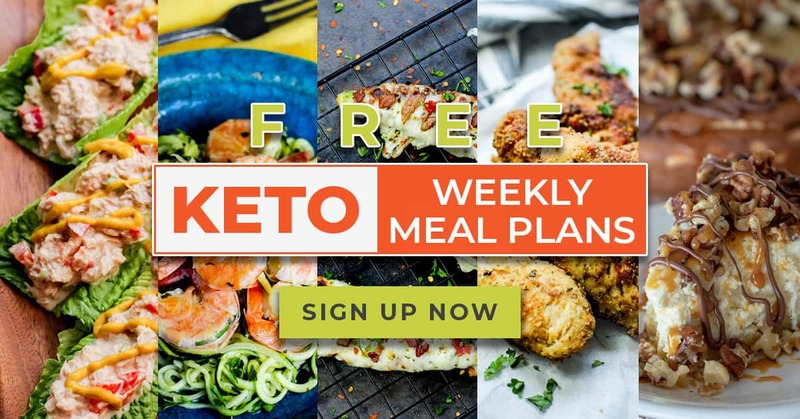 Get a free weekly keto meal plan delivered right to your inbox every Friday! Sign up today! A great cookware set will make your life so much easier! 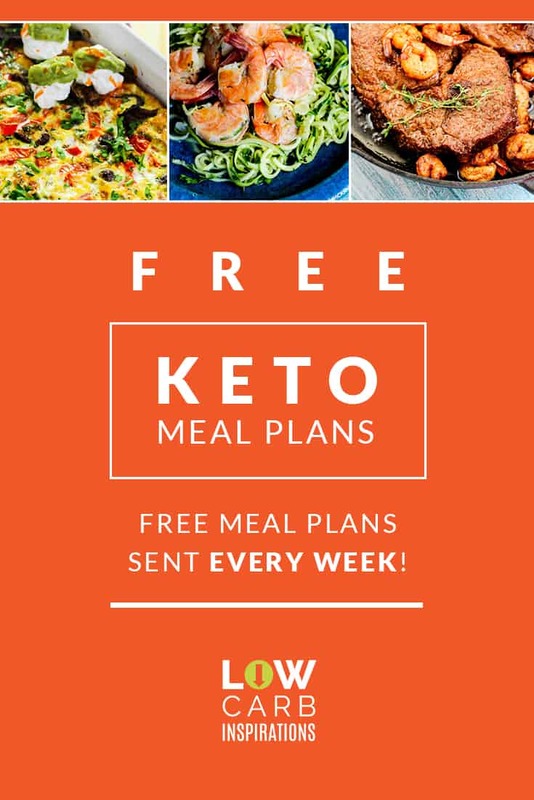 It goes without saying that an amazing cookware set is essential to every kitchen, but it's especially essential on the keto diet because you will be cooking and prepping so many of your favorite keto recipes. You’ll love having a milk frother on hand to froth up your coffee. It is less work for you, which is great. From time to time, I love making my own chocolate at home. chocolate molds will make your life a whole lot easier. I have found that having a digital food scale in my kitchen works wonders. It saves me a lot of time. 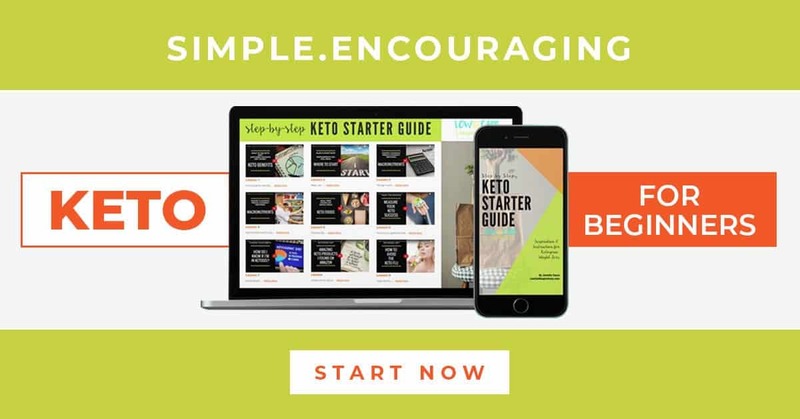 You may find that a digital food scale is just what you want or need for your keto journey. 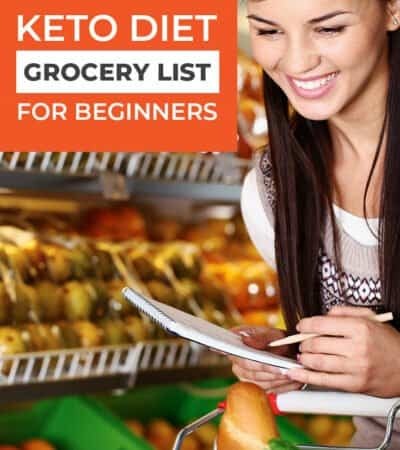 This isn’t the complete list of the best products you can use on the keto diet, because honestly, the list could go on and on. 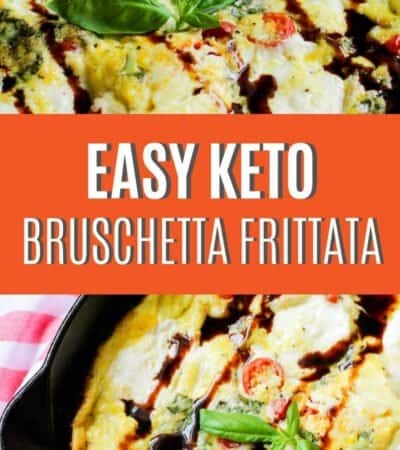 What is your favorite keto product?